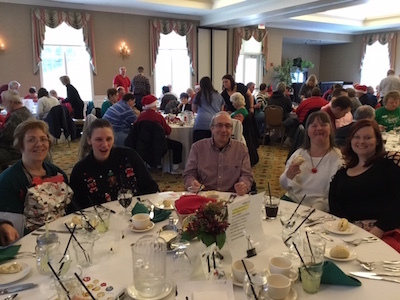 WCBA celebrated our Annual Christmas Party at the Greensburg Country Club. 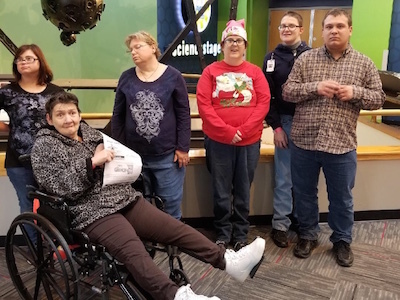 Everyone enjoyed the luncheon, along with a surprise visit from Santa and Mrs. Claus, and finished the day with a fun afternoon of dancing. We’d like to send a special thank you to the Mt. Pleasant Lions Club for providing their delicious cakes. A wonderful time was had by all. Visit our Facebook page to see the full photo album from WCBA Christmas Party. Our Adult Training Facility (ATF) Program enjoyed an interactive day at the Carnegie Science Center. Everyone had a wonderful time! Visit our Facebook page to see the photo album of our trip. 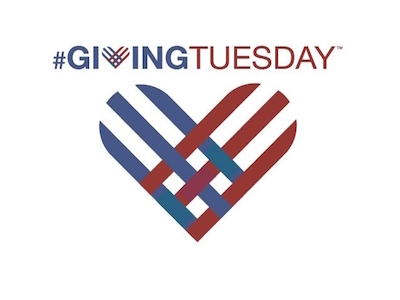 Giving Tuesday is coming up next week. In celebration please consider making a donation to the WCBA. 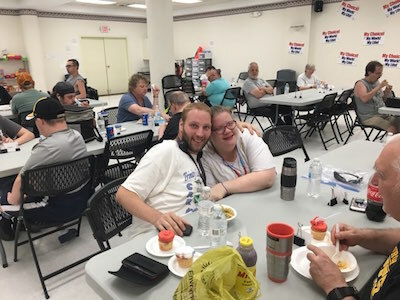 Your gift will help support our efforts of employment, advocacy, assistance, awareness and independence! It is through the kindness of our friends and neighbors that the WCBA mission endures! Visit Ways To Give to see how you can help. 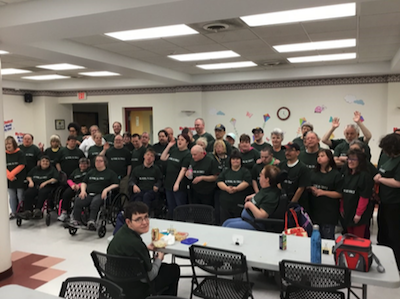 Sending a BIG thank you to our friends at S&T Bank for the wonderful luncheon today! We really enjoyed the pizza, cake, and their visit. Click here to see the photos. 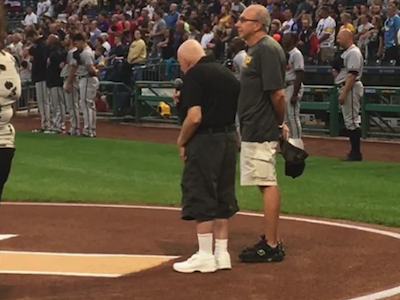 Please join us in congratulating Michael Daley for his outstanding performance at PNC Park Tuesday night. We are so proud of you Michael! Click below to watch Michael’s video. 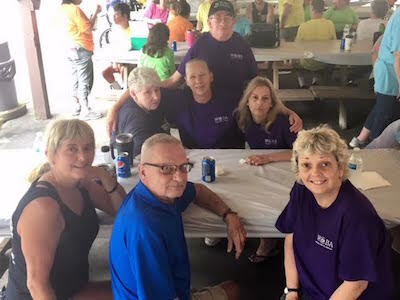 We had a great time at WCBA’s Annual Summer Picnic! Thanks to everyone who attended! Visit our Facebook page to see the photo album. 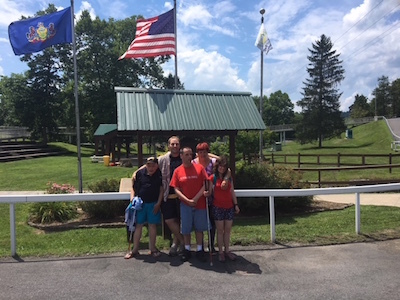 WCBA celebrates the 4th of July. Hope everyone has a great holiday! Visit our Facebook page to see the photo album of our party today.